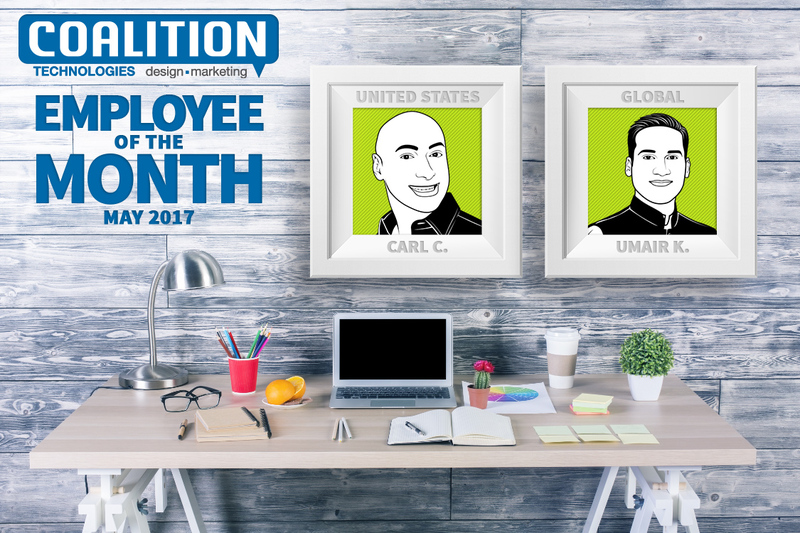 We’re proud to announce that Carl Clark and Umair Khalil are May’s employees of the month at Coalition Technologies! Both Carl and Umair have contributed so much to making our clients’ projects successful, from start to finish. Check out what they’ve done to make Coalition great! Carl started with Coalition in January of this year, and has quickly risen to the top. He’s primarily a Digital Strategist, but also works as a Digital Producer. As a DS, Carl works with both existing and prospective clients to find the best web development and online marketing solutions for their business. When he’s wearing his DP hat, he directs marketing activities and client engagement. He’s worked in a number of industries, including fashion, electronics, and art. When Carl’s not closing huge deals or helping out clients, he enjoys hiking with his dog Elly, hanging out with his kids, and building computers. Fun fact: Carl sang and danced with Disney World as a kid. He says he can’t sing anymore, but we think he should show us one of his routines! Umair is a front-end developer, and has been with Coalition since December of 2016. He works with technical elements such as PSD to HTML and WordPress conversions, site optimization, and bug fixes. He also builds reusable code for future use. Umair has worked with our clients in the jewelry, law, and vehicular industries, to name a few. 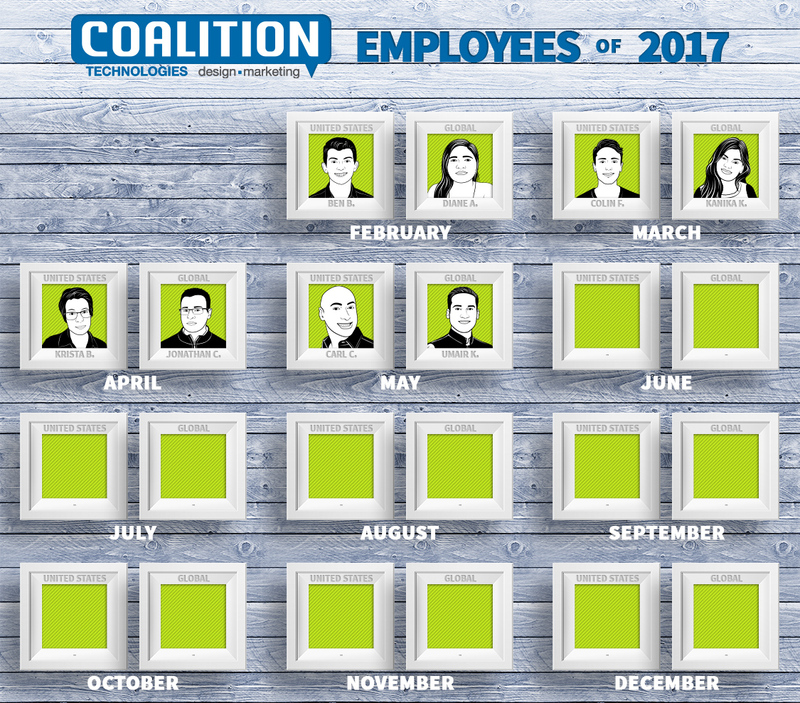 Umair likes that Coalition works with people from all over the world, and enjoys our processes and the work environment. When he’s not learning new coding techniques or trying new coding tools, Umair likes to play video games and watch the newest movie releases and international blockbuster films. Coalition Technologies is so grateful to have enthusiastic and hard-working employees such as Carl and Umair. Our entire team puts in great effort month after month, ensuring the success of our clients. Check back soon for June’s employees of the month!